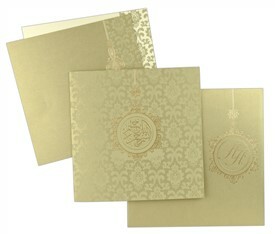 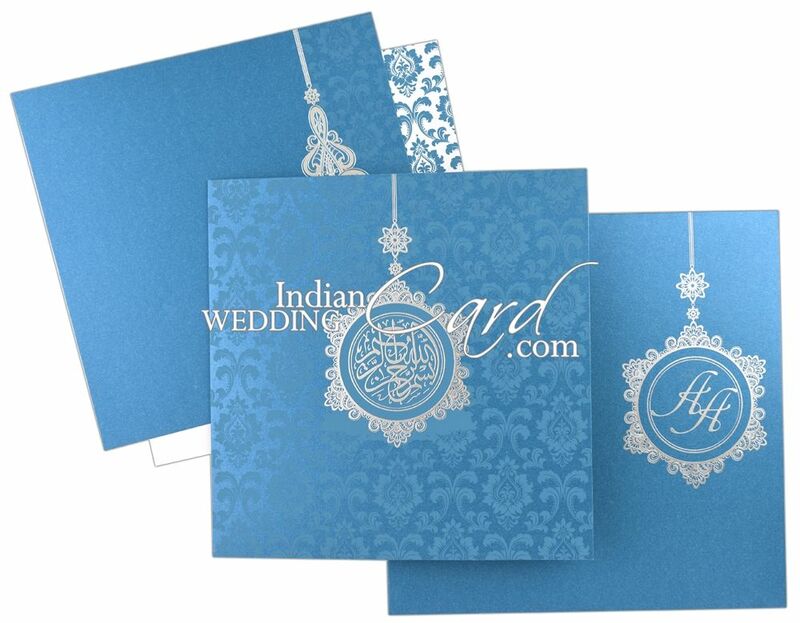 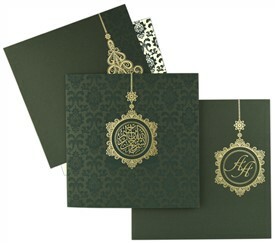 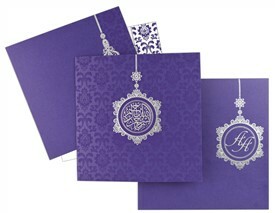 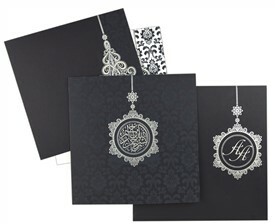 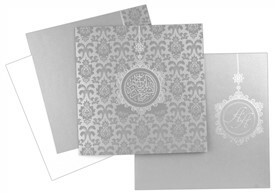 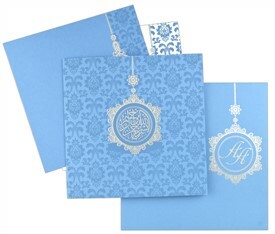 Silver screen-printed motif with “Bismillah- Ir Rehman Ir Rahim” symbol beautifies the main card. 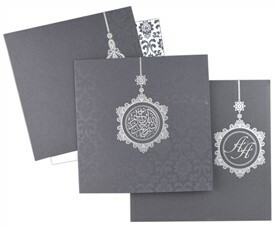 The envelope and inserts are adorned with silver motif. 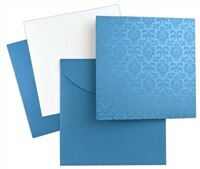 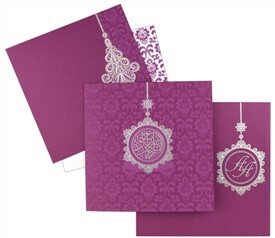 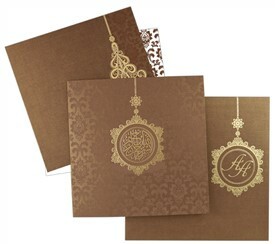 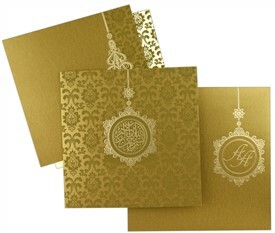 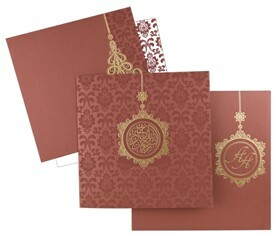 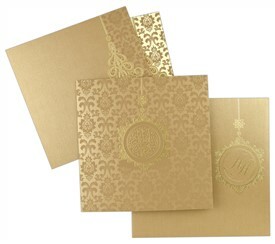 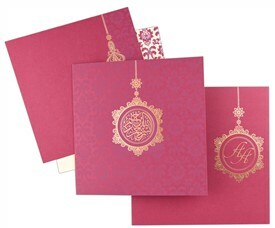 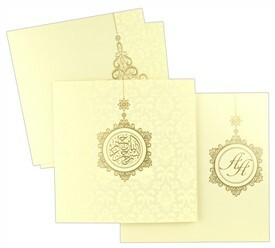 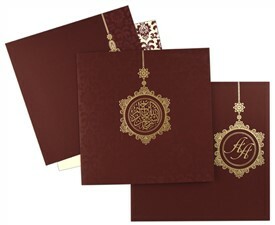 An elegant card to add grandeur to your invitation!